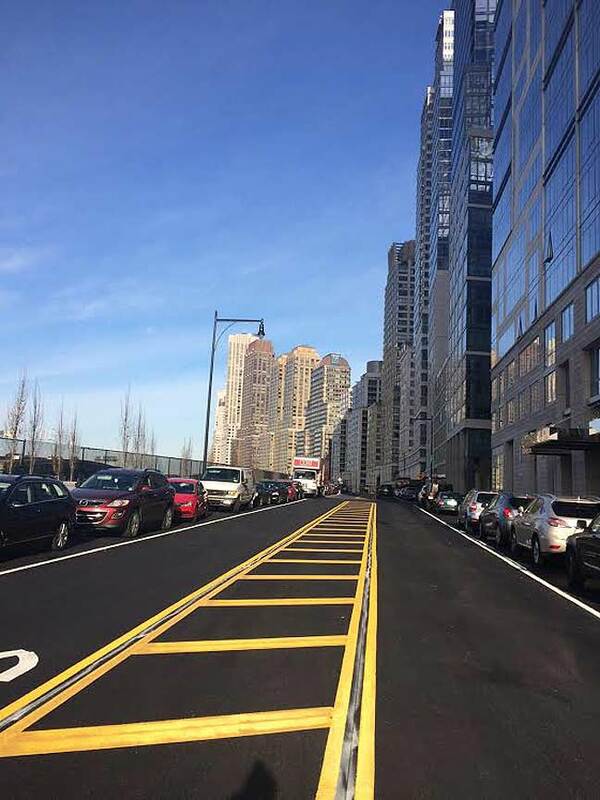 On the map of Manhattan, the first decade of the new millennium has given the island a new set of streets, with seemingly identical-looking and astronomically priced residential towers built atop a former rail yard. Located north of Hell’s Kitchen and south of Riverside Park, not exactly the Upper West Side. Welcome to Riverside South, a development initiated by current presidential candidate Donald J. Trump. Formerly a rail yard, it was abandoned in 1971 following the bankruptcy of Penn Central Railroad. Following its purchase by Trump, the site went through a number of failed development proposals before its current form took shape. 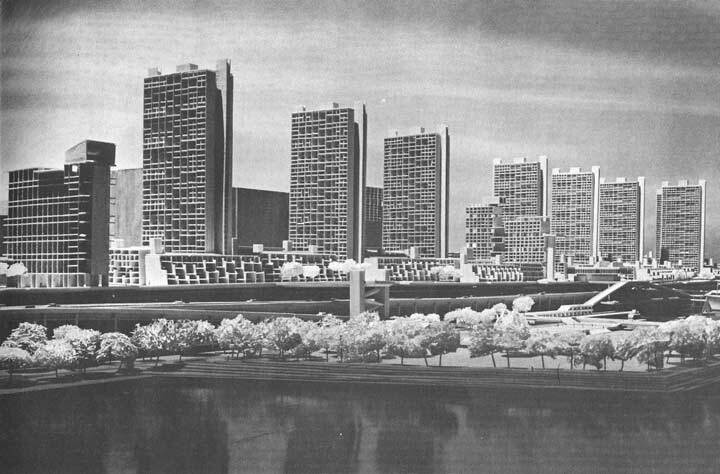 Among them are the failed Litho City (top) proposed by the Lithographers Union, and Television City proposed by Trump. 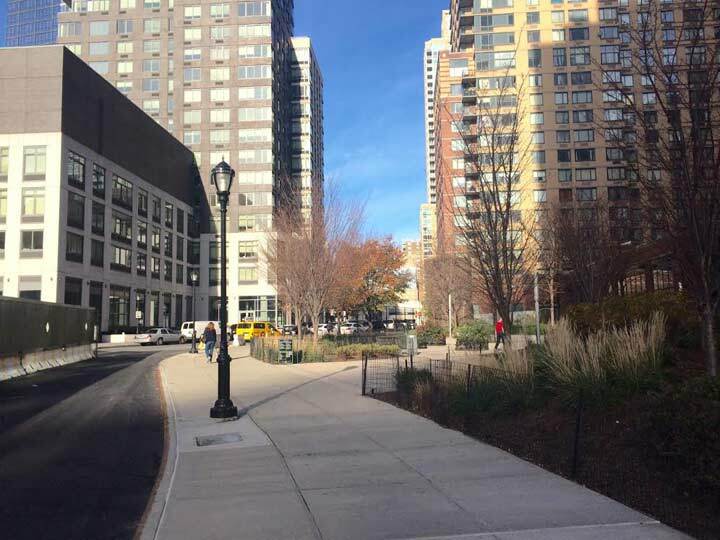 In a compromise with neighborhood advocates, the waterfront was preserved as a park and a new road, Riverside Boulevard took a winding route between 59th and 72nd Streets, resembling Riverside Drive in its design. On account of its age, is the only Boulevard in Manhattan that never had any other name in its history. At its northern end, one early controversy with the Trump project involved the historic Chatsworth apartment building. 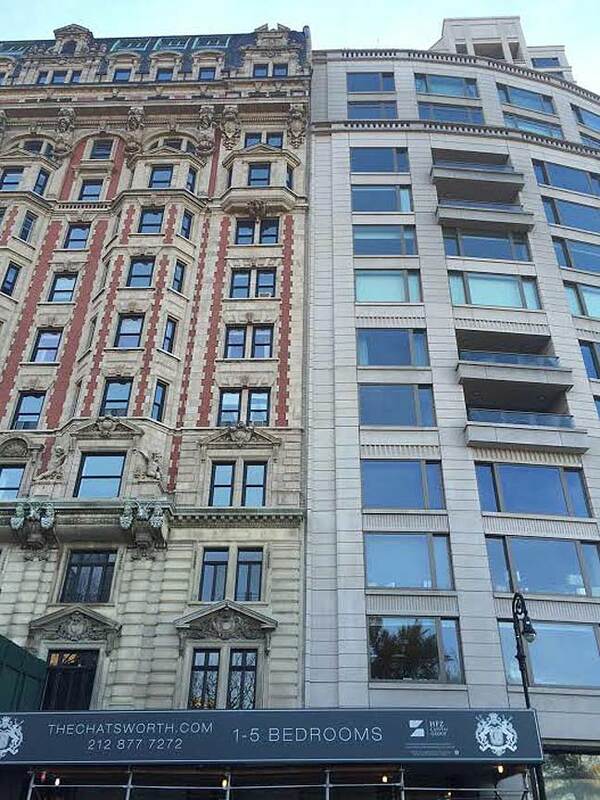 When it was built in 1904, its western property line abutted the rail yard and provided views of the Hudson River. When Trump bought the former rail yard, he built up to the property line, ignoring the pleas of Chatsworth residents. 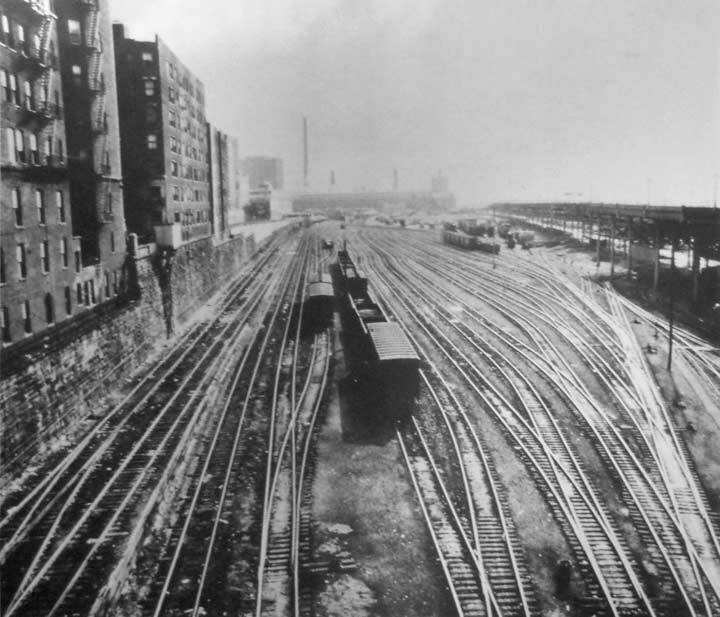 A century earlier, architect John E. Scharsmith would never have expected the rail yard to have been developed. A block to the south on West 71st Street, a quiet dead-end block was extended to connect to Riverside Boulevard. Resident of that block objected to their once-quiet street becoming a through route. 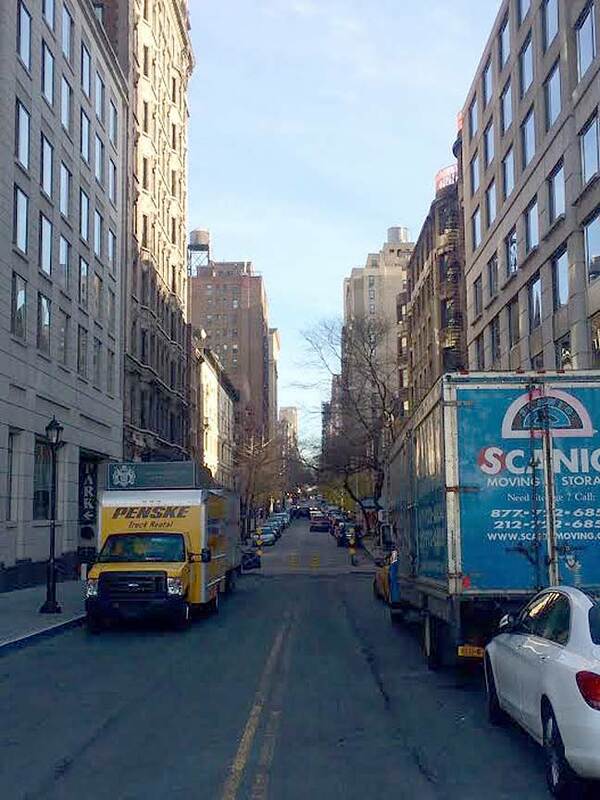 In a compromise, road blocks stand in the middle of the block, marking the border between the brownstones of Upper West Side and the high-rises of Riverside South. Pedestrians may still pass, but not vehicles. A block to the east is one of the city’s smallest parks, Septuagesimo Uno, built in 1969 as part of Mayor John V. Lindsay’s “vest-pocket park” program. 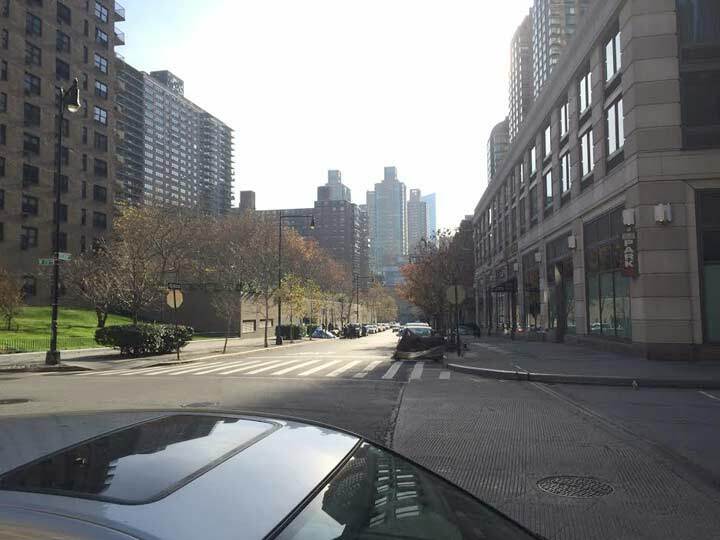 A block to the south, Freedom Place runs between West 70 and 66th Street, neatly delineating between the old and new neighborhoods. The street was carved out in 1967 as part of the Lincoln Square Urban Renewal Area. Its name was given in honor of the three civil rights activists murdered in Mississippi by Klansmen on June 21, 1963: Andrew Goodman, Michael Schwerner and James Chaney. A proposed monument at West 68th Street and Freedom Place has yet to be built, perhaps in part as a result of Trump’s intransigence. The narrow blocks occupied by Trump’s towers extend the street grid of Manhattan, but each block is uniquely designed, in contrast to the monotony that appears on the map. 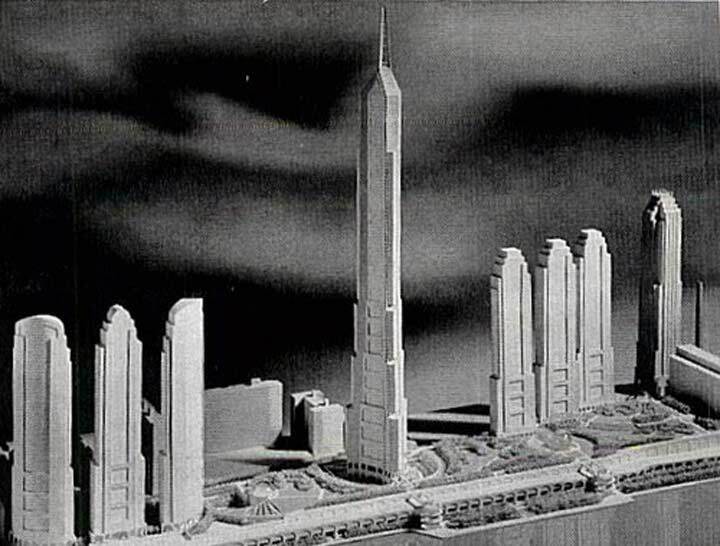 At 68th Street is a semicircular plaza for the unbuilt monument. 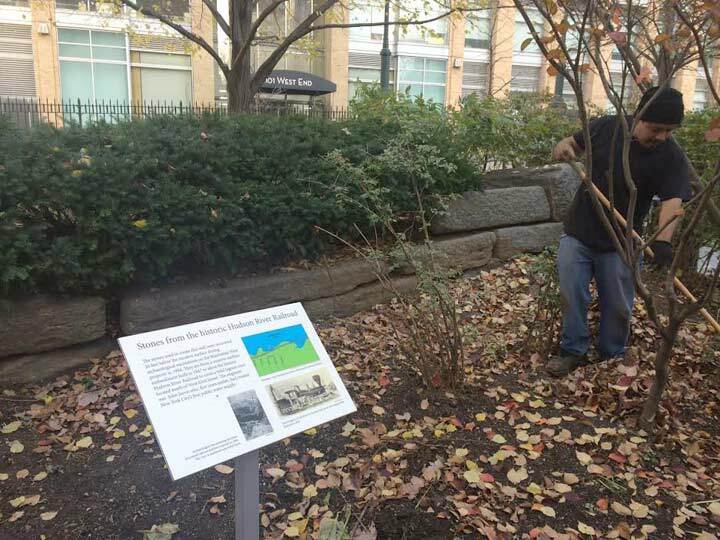 At the end of West 68th Street at Riverside Boulevard, the Little Engine Playground features play equipment that honors the history of the neighborhood as a rail yard, along with the popular children’s story by Watty Piper. 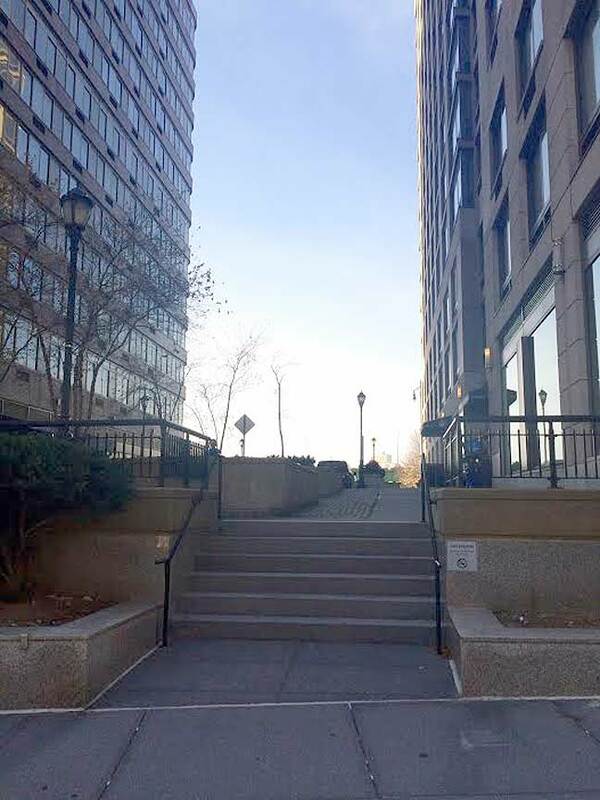 At West 67th Street is a dead end with a plaza and pedestrian steps. 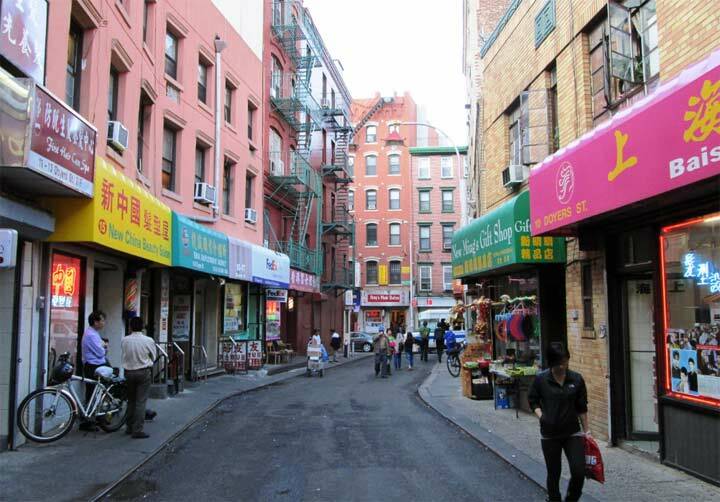 This makes it the southernmost stepped street in Manhattan. 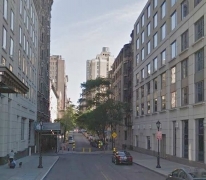 The next stepped street going north is West 128th Street at Convent Avenue, followed by West 157th Street at Edgecombe Avenue in the Sugar Hill neighborhood. The rest can be found in Washington Heights and Inwood. 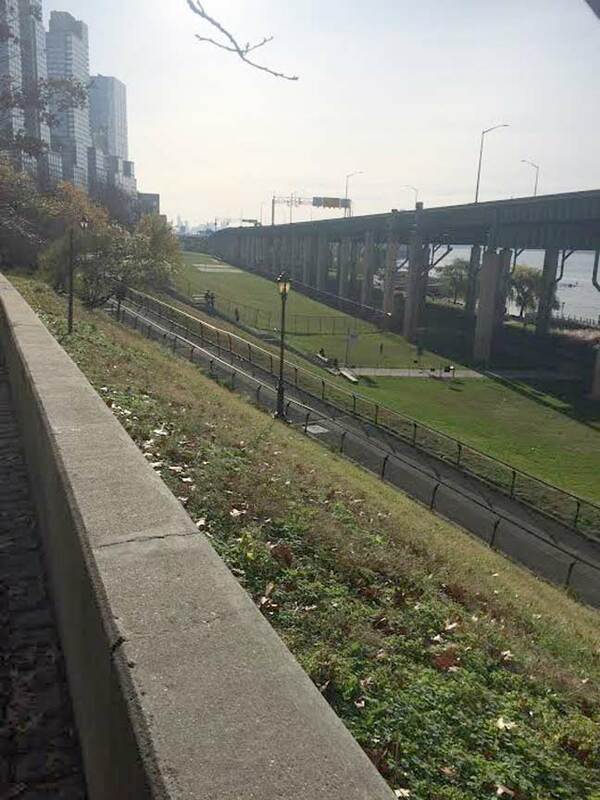 The Henry Hudson Parkway runs on a viaduct here, the last remnant of the elevated Miller Highway that once extended south towards Battery Park. 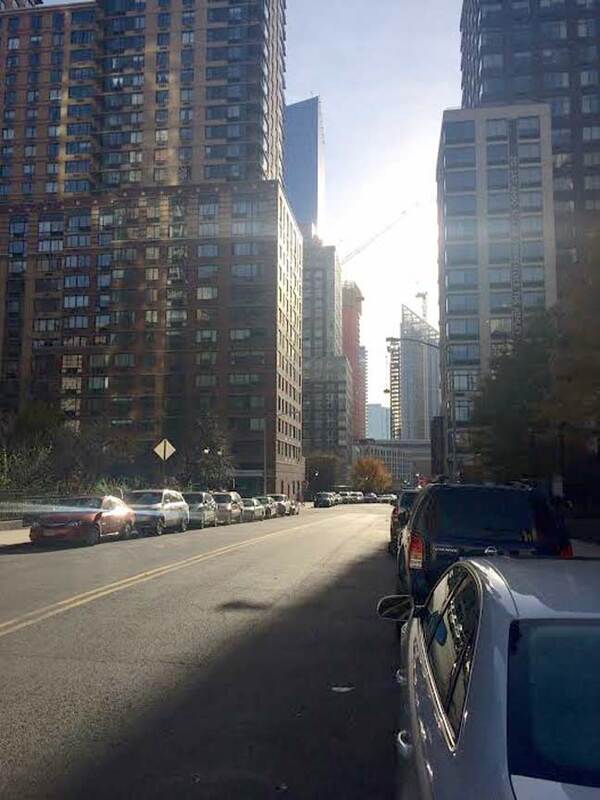 Following that highway’s demolition, the section between 72nd and 59th Streets was also slated to run beneath the ground. An unused tunnel beneath Riverside Boulevard anticipates this project. While politicians and developers argued, a temporary elevated structure was built above the rail yard-turned park. It’s still standing today. 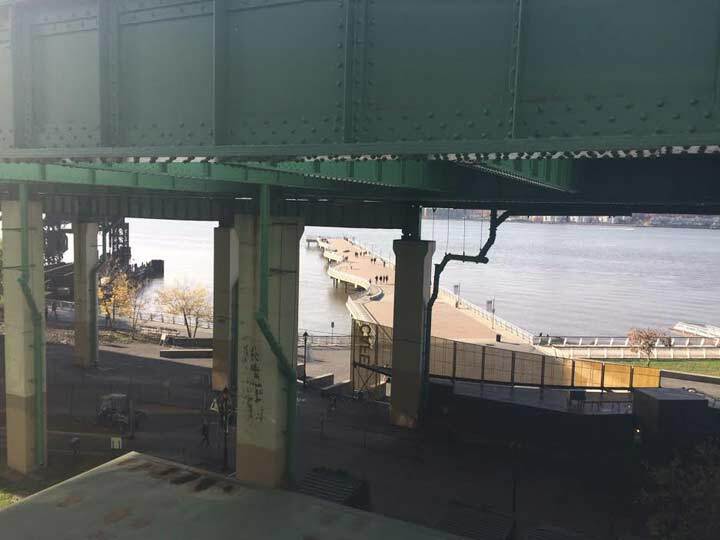 Within the park, attractions include a retired train engine, ruins of a train barge gantry a burnt-up pier, and the extra-long Pier 1 extending into the Hudson. 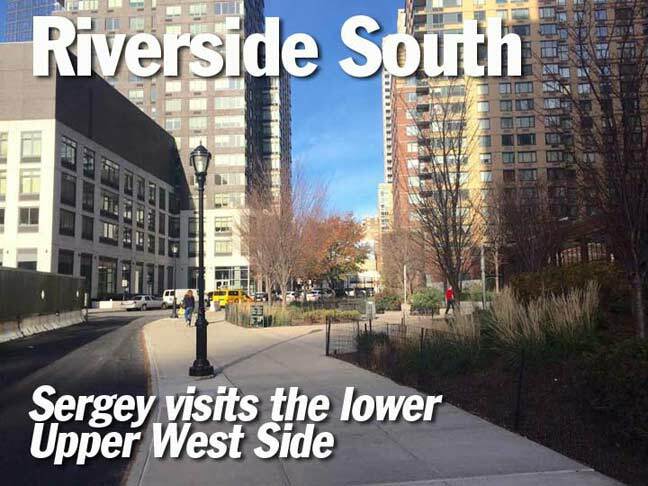 To the south of 64th Street, the border of Riverside South is marked by another new street, Freedom Place South, whose southern end includes a view of the neighborhood’s most iconic new structure, the pyramidal 625 West 57th Street, designed by Danish-born architect Bjarke Ingalls. President-Elect Abraham Lincoln arrived in NYC for a visit in the runup to the inaguration on March 4th, 1861, traveling from Springfield, IL traveling, in part, on the Hudson River Railroad beginning February 11th with stops in Indianapolis, Cincinnati, Columbus, Pittsburgh, Buffalo, Rochester, Syracuse, Albany, Poughkeepsie, Peekskill and then New York on February 19th. Tragically, Lincoln’s next visit came after his assassination as his funeral train also left for Springfield from the HRR depot at 10th Avenue and West 30th Street; the site is marked by a plaque. 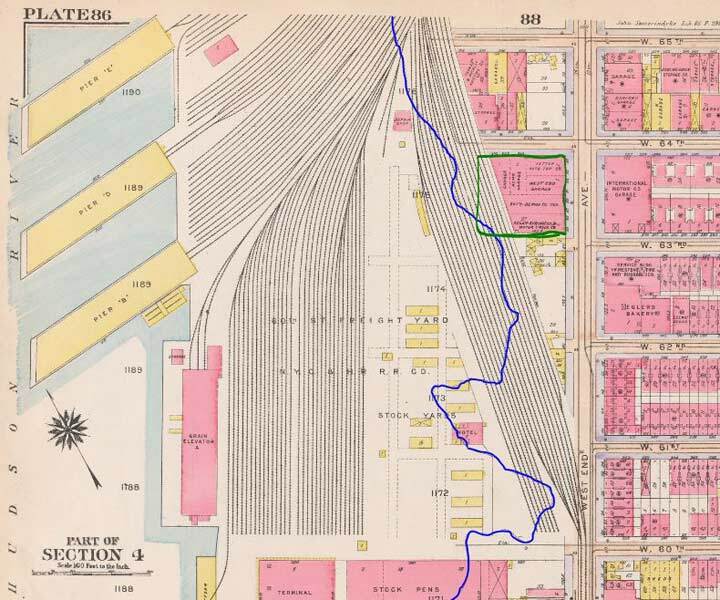 This 1916 Bromley atlas shows how close the railroad once approached West End Avenue. 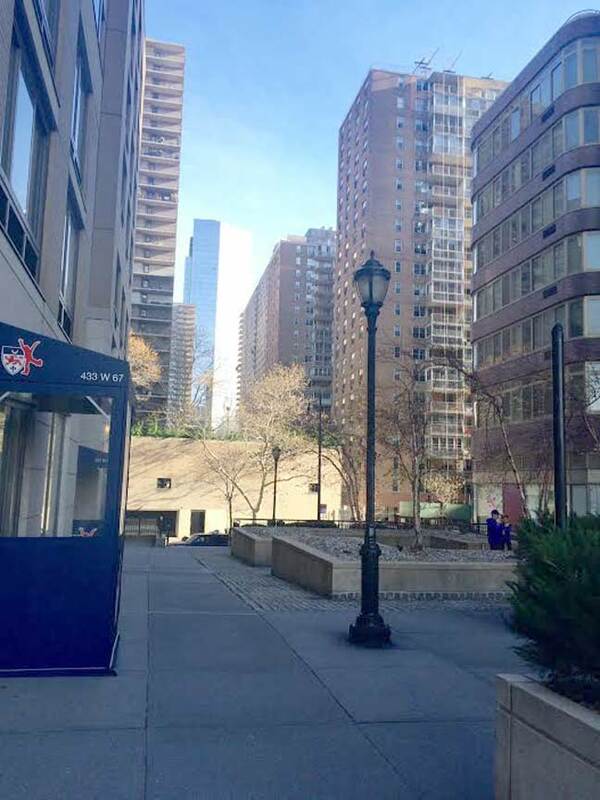 Freedom Place South ends at West 61st Street. 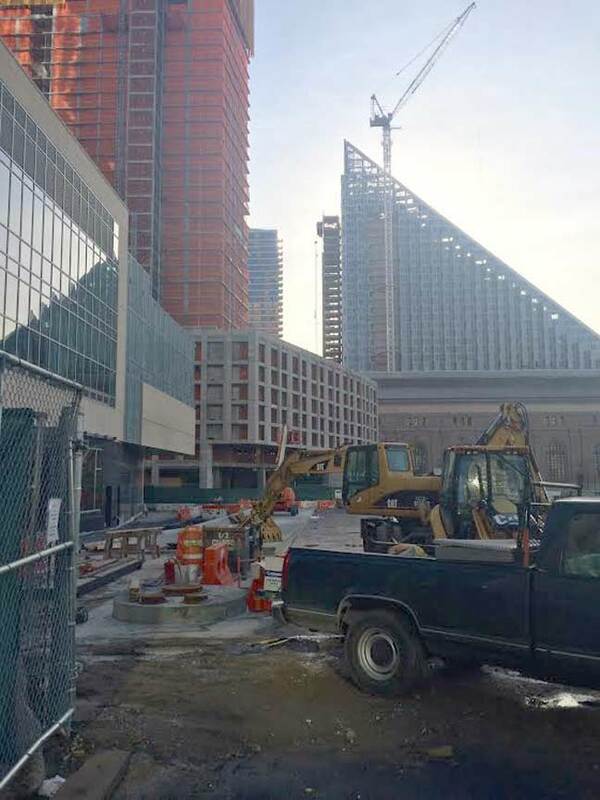 To its immediate south is the Riverside Center development and the historic IRT Powerhouse that used to supply electricity to the city’s first subway line. A new campus for the private Collegiate School provides an institutional anchor to an otherwise residential district. Fascinating story. I have not been in that neighborhood in decades. I remember heading north and south on the Julius Miller Elevated Highway as a kid with my family, going to visit rellies in Upper Manhattan or our country place in the Catskills, and we drove over that section many times. 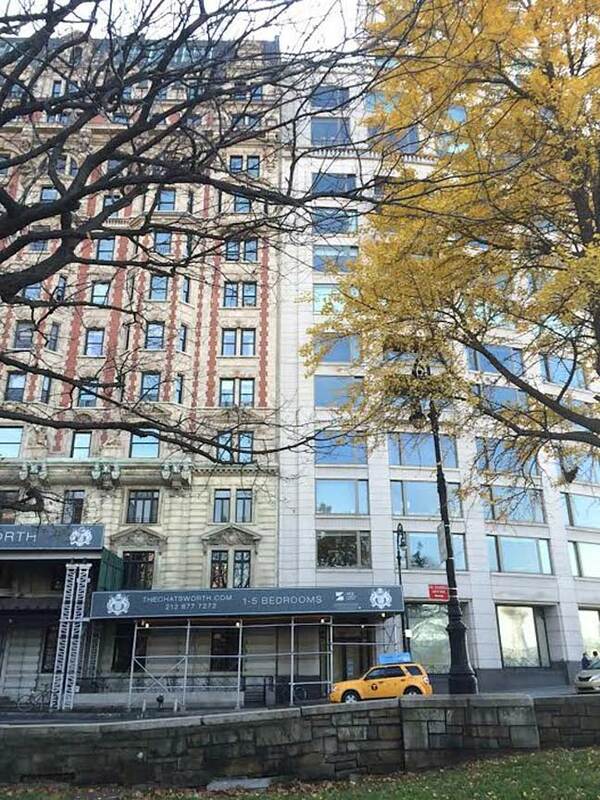 At 72nd Street, the distinctive lampposts ended, and two of them lacked the finials that “balanced” them. I wondered why that was so, and realized that the City had likely run out of them during construction, perhaps due to accidents or supply error. 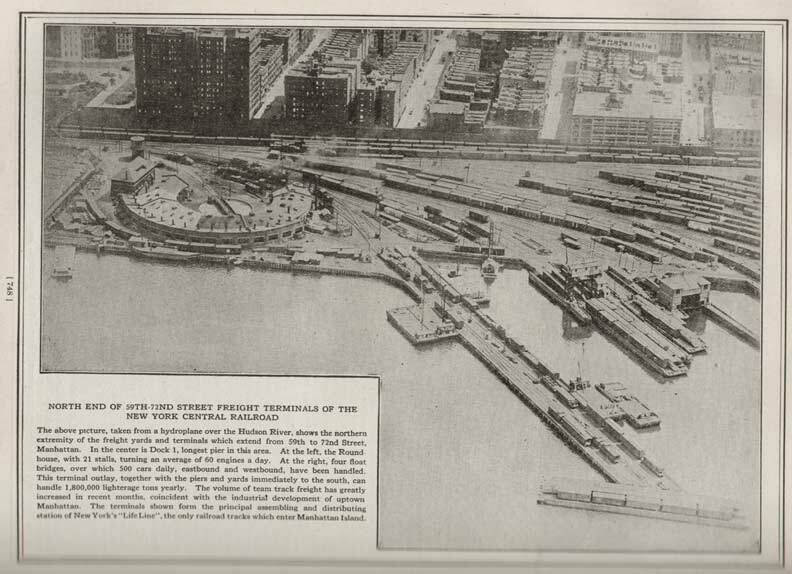 Recently, I found a photograph of the “Hooverville” that existed at that area, which shows the ramshackle huts in the area that had been the train yards, and the end of the West Side Highway over them. The stunted lampposts I remember were in the photo, which confirmed my theory that the missing finials were not the work of vandals or weather, but a supply glitch. It’s interesting that the site of a 1932 Hooverville is now a section of extremely expensive apartment buildings. There’s immense irony in all of this. After seeing the models of what could have been there, I’m glad that they weren’t built especially when they didn’t look that realistic anyway or just wouldn’t fit in there. It is called a train gantry. similar to the structures that are visible on the jerse side of the river as well as in the East River by Long Island City.